I wanted to say a big thank you to everyone who donated to Wales Air Ambulance and supported me throughout this year with my Wales Air Ambulance EXC fundraising and awareness-raising project. 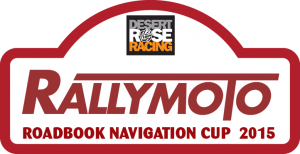 A big thanks is due to RallyMoto club for their continued support throughout the season and in particular for adding the optional donation to the Tarenig Rally entry system which was a great success (more on this later). Thanks also to everyone at ET James motorcycles for keeping my bike going strong! Whenever it needed anything it was turned around in time for me to race, great stuff. I hope to see everyone at the All Terrain Rally Challenge rounds and various enduros in 2015, I’ve really enjoyed riding with you all this year. Ride safely in the meantime!